At 36 weeks Mrs F’s waters spontaneously broke and she was taken to Medway Maritime Hospital in Gillingham, Kent. Her baby was in the breech position so the clinicians planned to deliver the baby via c-section. The hospital was too busy to perform the surgery that night, after which Mrs F went into labour very quickly. As a result the baby had to be delivered in the breech position. The baby was in a poor condition when she was born and had to be resuscitated. Mrs F was told the baby had died, although this was not the case. 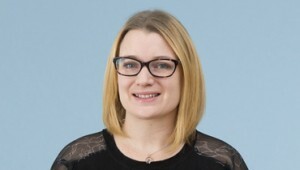 Jennifer Waight, specialist medical negligence lawyer acted for Mrs F. It was clear on reviewing the root cause analysis report completed by the hospital that there was a delay in carrying out the c-section due to an ultrasound scan not being carried out on Mrs F’s admission. Jennifer Waight argued that had there been no delay and the c-section had gone ahead, this would have avoided the need for a breech birth and for the baby to be resuscitated. Subsequently Mrs F would not have suffered post traumatic stress disorder as a result. The defendants denied liability and reports were obtained from a consultant obstetrician and a psychiatrist. The defendant continued to deny liability, however, after serving proceedings Jennifer Waight was able to successfully negotiate an out-of-court settlement of £27,000 to compensate the Mrs F for her pain and suffering, and to pay for her future psychiatric care needs. Jennifer Waight specialises in birth injury and psychiatric harm cases. If you would like to ask Jennifer a question about a potential case, or if you have a general query about any clinical negligence, contact Jennifer at Thomson Snell & Passmore LLP solicitors on 01892 701374 in confidence.